* CONTEST * Restoring Love ~ 1 Free Giveaway! ONE WINNER will be randomly selected to win FREE from the author this just released book. 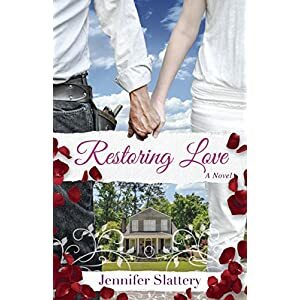 Book teaser: “And if Angela had learned anything over the years, it was that God could do a lot with those tentative first steps,” the woman realizes in Jennifer Slattery’s novel, Restoring Love. 5. If you are the winner, please consider posting a review regarding what you thought of the book on one or two websites. This is a FAST CONTEST ending WEDNESDAY, January 4th, 2017 after 5 PM PST so follow the requirements above and try for a chance to win a book that is mailed from the publisher directly to you!Winner’s shipping address must be in the U.S.A. I read & reviewed this book – it’s a 4.5 STAR! I would love to read this book because I love your writing style. I love doing reviews so I’m ready to read and review your book. Deana ~ You are LETTER R for this contest. Thanks for entering & Happy New Year! Hi, Deana! What a blessing you are! Best of luck in the drawing! Love the cover and Conny, I enjoyed your review. 4.5 stars out of 5–not too shabby!Thanks for sharing and Happy New Year!! Connie ~ You are LETTER E for the last letter in YOUR name! Thanks & Happy New Year. I would love to read and review this book. I thoroughly enjoyed Jennifer’s book, Breaking Free. I’ve also met her at a conference. A super sweet lady and great presenter. I follow her on socail media (Wholly Loved). Thank you, Connie, for the chance to win. Janice ~ I enjoyed that book too! You are LETTER S for this contest. Thanks & so glad you met her. HNY! Janice, you are such a sweetie and always such an encourager! It was lovely meeting you this past August, and I’m so appreciative you and your sweet hubby came to pick me up at the airport that day! 🙂 Good luck in the drawing, friend! Ah! Girl, you bless my socks off! Thanks for that!! Hart ~ Jennifer has written several contemporary Christian romances. You are LETTER T for this contest. Thx & Happy New Year! Hi, harfiction! Thanks so much for popping in to say hi, and best of luck in the drawing! Please include me. I subscribed to the Internet Cafe. 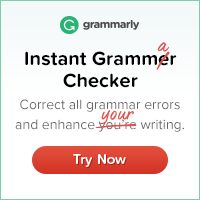 Would love to read and review! Gail ~ You are LETTER O for this contest. Thanks for your interest & Happy New Year! Hi, Gail, and happy Tuesday! Good luck! I would love to win this book! I just read my first book of Jennifer’s and really enjoyed it! Thanks! Sara, you are LETTER I for this contest. Thanks for entering & happy new year. I enjoy Jennifer’s stories! Happy New Year Conny! Caryl ~ You are LETTER N for this contest. Thanks for entering & Happy New Year! Yay! You made me smile, Caryl! Thanks for the encouraging comment! The LETTER I was chosen tonight so SARA is the winner! I will email her privately to get her shipping address. Thanks ALL for participating in this fun contest! AWESOME NEWS ~ The author just agreed to ship ALL entrants a copy of this book to review! I already given her 4 of your addresses so only need DEANA & CARYL’s. So Deana & Caryl, if you want a copy of this book, please email your address to connywithay@gmail.com. THANKS & enjoy the read! Yes, it was so thoughtful of Jennifer! Enjoy the read! I failed to see this message so when I found this book in my mailbox I was completely surprised. But such a lovely surprise! Thank you Conny and thanks to Jennifer for being so generous! Glad to see you got it & ENJOY! Thanks again, Jennifer! Oh, I’m so bummed! I, for some dumb reason, thought I already had this book – but just realized today that it is a different one! Congrats ladies because I really enjoyed the book I read by Jennifer (Breaking Free)! Don’t be bummed, JK ~ I will ask the author if she can send you a book too (I think I have your shipping address). Stay tuned.